The 7-Way Flat Pin to 6-Way Round Adapter w/Electric Brakes to Outer (S) Pin of 6-Way allows convenient connection to multiple trailers. 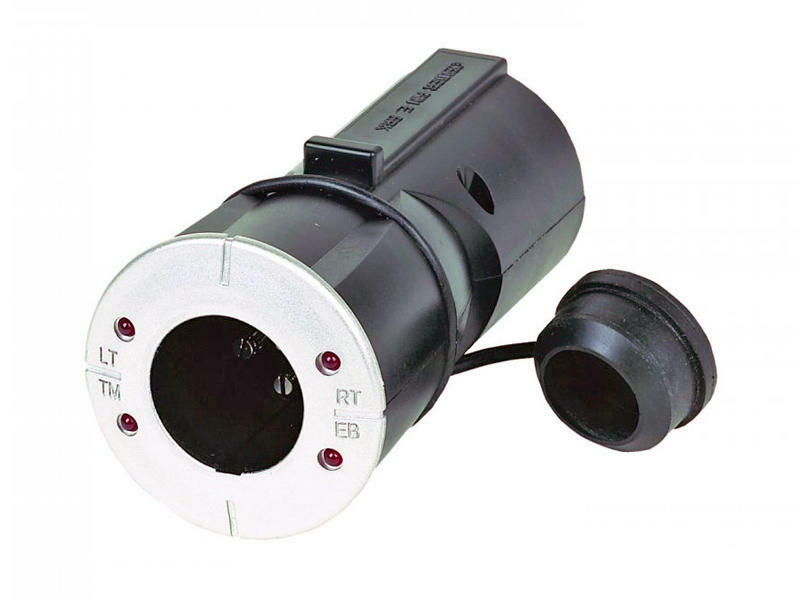 LED lights show stop, turn tail and electric brake functions. For use with a 7-way connection on your vehicle to hook-up with a 6-way connection on the trailer.